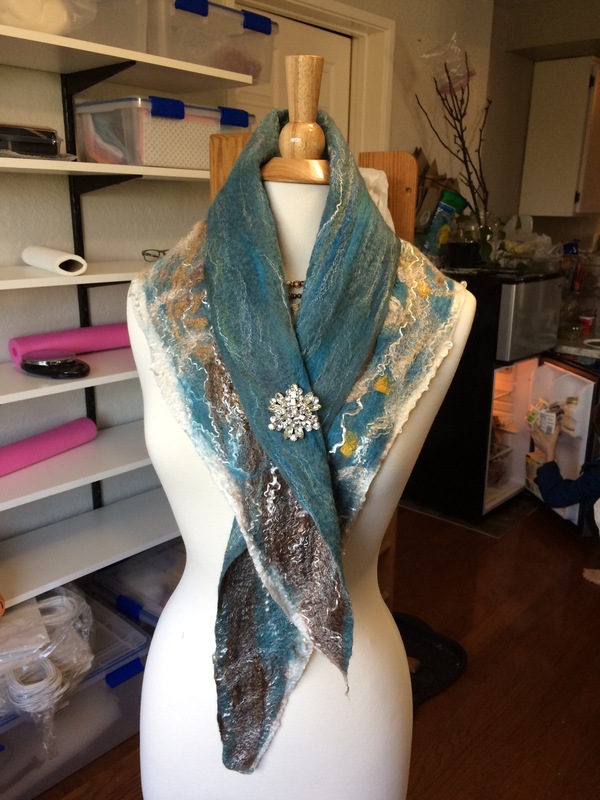 It seems the more scarves I make, the more ideas I have for making scarves! 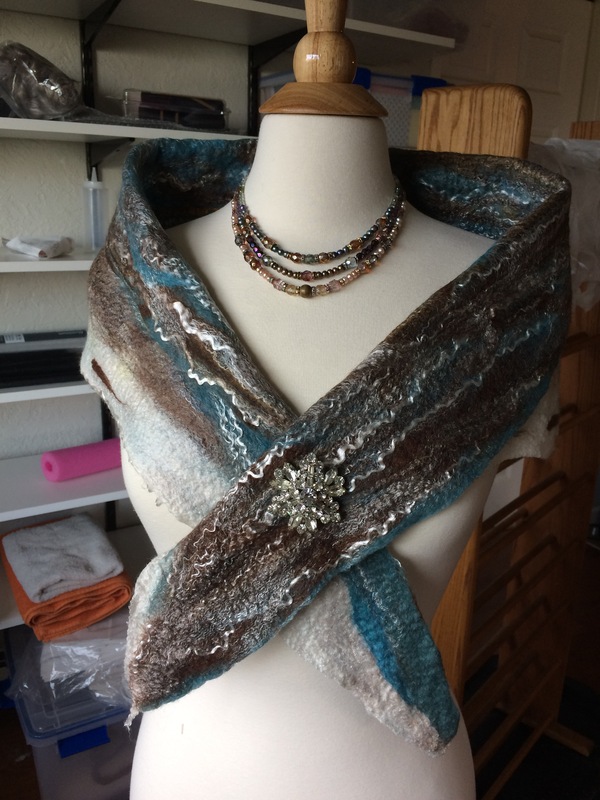 Here is another many – way reversible wrap I finished on Saturday. It is at the Corvallis art center for $140. The following photos are all of the same scarf! It is so versatile! 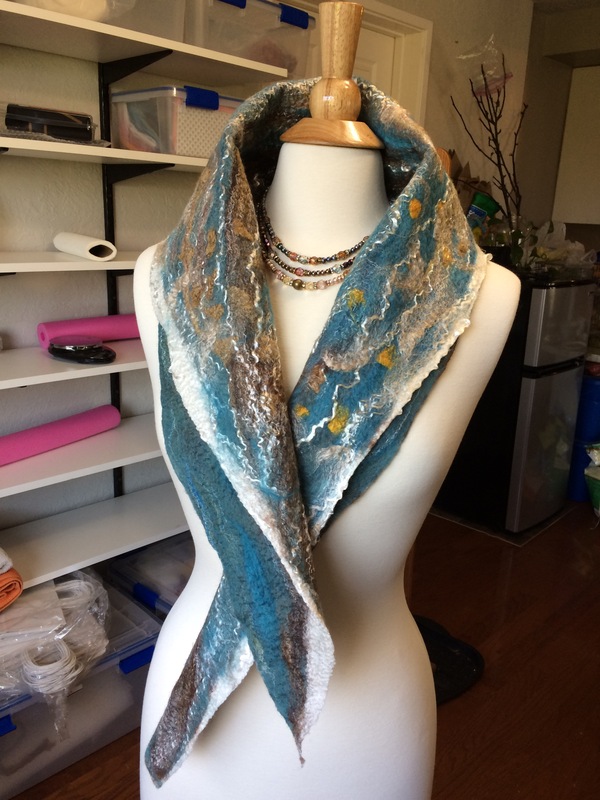 Fine merino and silk in teal, brown, and gold with touches of tencel, baby camel and yak down. 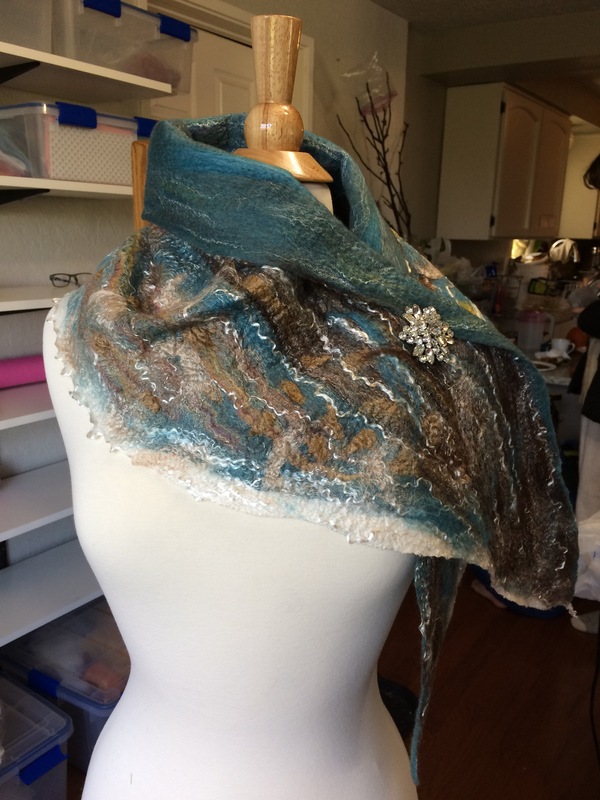 This is a new pattern I worked out for an art scarf on the dress form with batting. 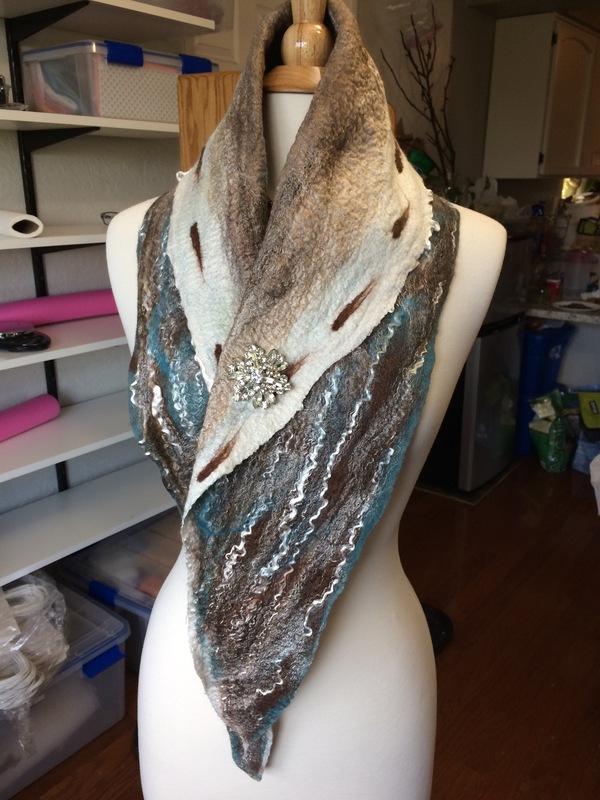 Funny thing is when I unwrapped the batting pattern, it was almost the same shape as the shawl Cheryl made at my workshop! Ha ha! 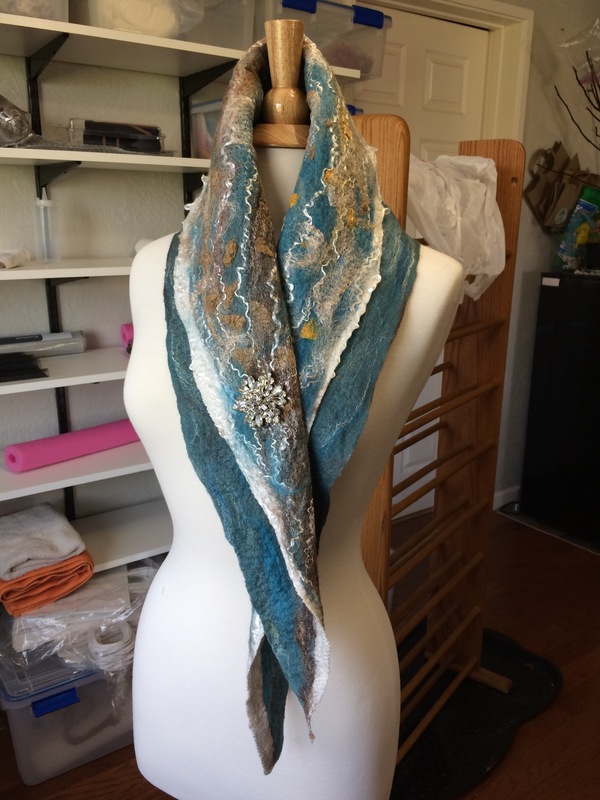 I had a second long scarf sell at the art center yesterday for $150. It was the yak and silk 50/50 blend. The woman bought that particular scarf for it’s ultra softness. 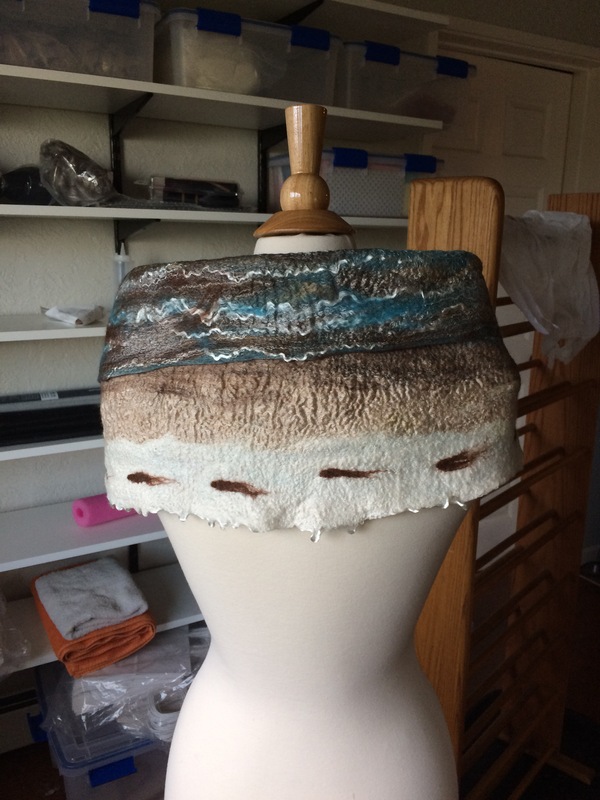 It is so exciting to be selling my work at the Art Center in Corvallis.